This year I finally started getting out some concept art for the large roster of characters. This one is Faolan, younger brother of Frey, and a Very Serious Young Man. 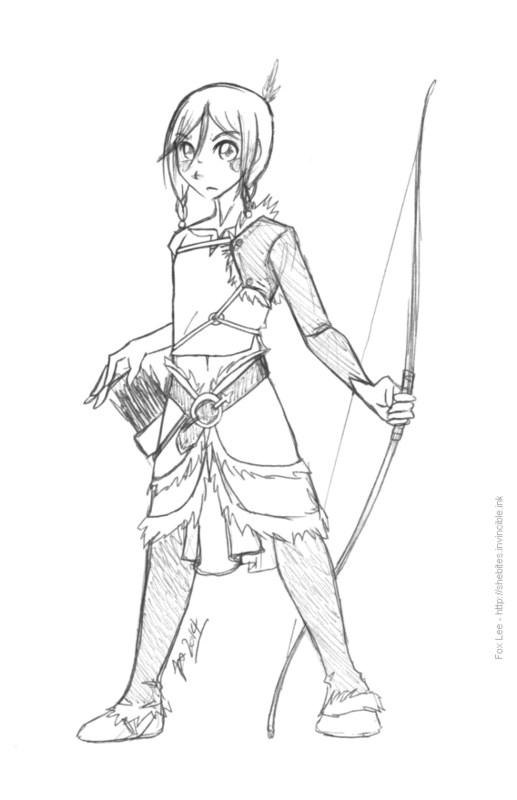 An archer by trade, he's grown up in his brother's considerable shadow and is trying very hard to be taken seriously as a warrior - difficult, since he's mostly seen as tiny and adorable. Often mistaken for a girl. Faolan is another character with whose costume I'm not yet satsfied - the elements are there, but it's not "right" yet. I sense myself revisiting this one.